Does your classroom or school use Google Chromebooks? 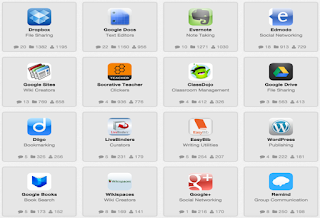 If so, here are some notable Chromebook apps tested and chosen by teachers like you. A powerful and free visual graphing calculator. Record and layer your voice over any kind of media. This is Google's answer to Microsoft PowerPoint. An online whiteboard for any kind of media and collaboration tools. This is curated by instructional designer KC Testerman. This one is curated by high school teacher R Sexton.